Whatlisten is the ideal app for music lovers. With it, it's easier than ever to download and listen to music on your smartphone. It has an integrated search bar that lets you find any song you feel like listening to and then quickly and easily download it to your phone. Plus Whatlisten comes with a built-in music player so you can store and organize the downloaded songs into different playlists. 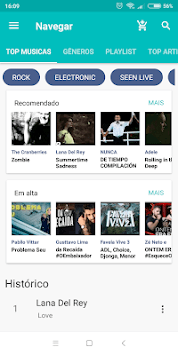 The app also has an attractive and intuitive design that offers the possibility to download music, listen to it, and search for new music by artist, album, song, or genre. Plus you can create playlists according to your mood, or create special selections of your favorite songs from a specific artist. The main appeal of Whatlisten over other music download apps is that it doesn't provide any complications when it comes to actually downloading the content. It has a very simple interface that makes it impossible to get confused or fall into the trap of pressing a button you don't mean to. Just type the name of the song or artist you want and a list opens up with all the matching results. 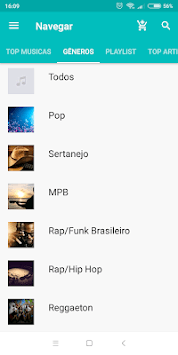 When you find what you're looking for, just select the name of the song to have it immediately start downloading and start playing in the music player that comes integrated in the app. Downloading and listening to music on your smartphone has never been easier than with Whatlisten. Folder Music Player - Folder Player,Music Player.